Home / Unlabelled / RAVEN SALVE' DROPS A TEMPTING AND TASTY SINGLE WITH THE RELEASE OF "JELLY ROLL"
RAVEN SALVE' DROPS A TEMPTING AND TASTY SINGLE WITH THE RELEASE OF "JELLY ROLL"
Congratulations to Raven Salve' and her features in Afro Punk, Paper Chaser and My Funk.Ning. Pensacola, Florida native Ebony D. Weatherspoon, known in the industry as Raven Salve’, is bringing the flavor soul back to music. An amazingly talented young songstress, Raven has quickly developed a reputation for releasing powerful and soulful music. Blending Escambia, County, Southern Soul, Gospel and R&B, she creates the sounds that take you too a time when music was filled with joy. A fun soundtrack to a great time. And her latest single "Jelly Roll," is nothing short of everything we have come to love from Raven Salve'. 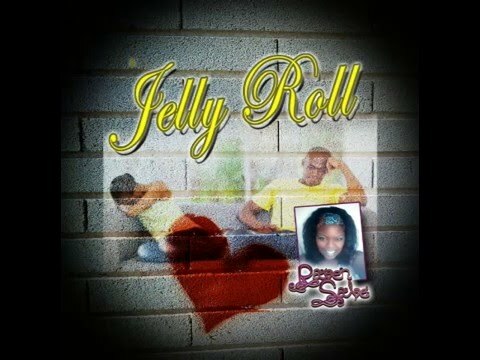 The single "Jelly Roll" is from Raven Salve's debut album "Let's Dance the Mix." Jelly Roll holds all of the qualities of a dance classic. Raven's melodic voice tunes through notes so naturally, it's very refreshing in an age where digital trickery has outweighed natural talent. And the talent showcases from beginning to end in "Jelly Roll," as Raven sings about the love of her life, her shoulder to lean on...the ying to her yang...or better yet..the jam in her jelly roll.